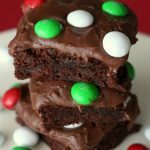 Frosted Holiday Mint M&M Brownies are an easy dessert recipe you can make with the kids for Christmas. You can’t go wrong with chocolate and mint together! The craziness of the holiday season is here. So that means you need some quick and easy dessert recipes that are great for gifting and enjoying too. 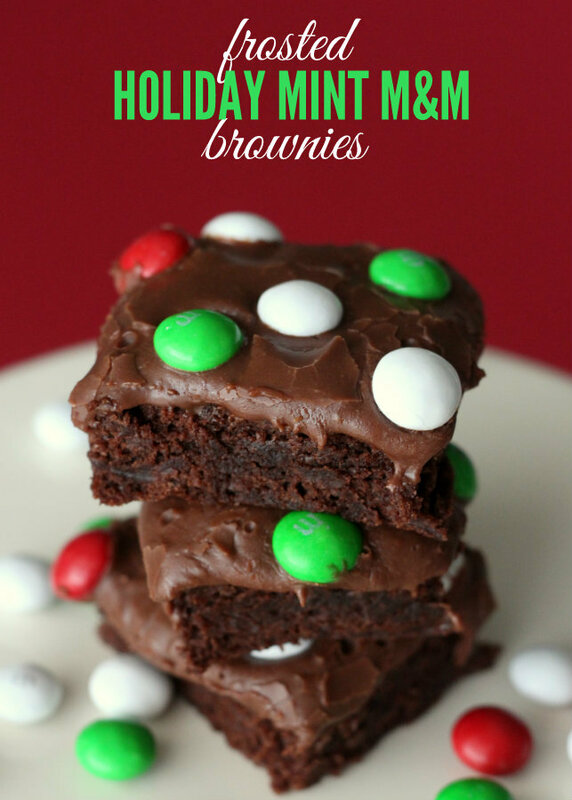 Check out these Frosted Holiday Mint M&M Brownies that are insanely delicious! Today my dear friend Kristyn from Lil’ Luna is back to share a SUPER YUMMY treat with you all today! 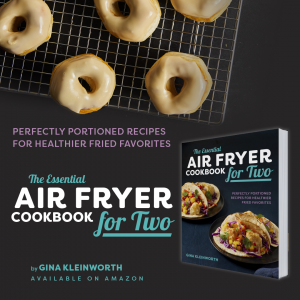 Give her a HUGE Kleinworth & Co welcome again & be sure to subscribe to her blog after you check out this recipe that I just can’t get enough of. 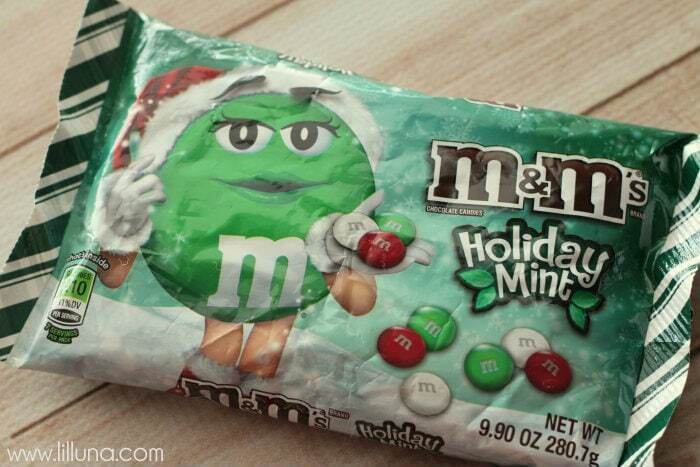 Today, I will be sharing a new recipe I created a month ago that was inspired by some new M&Ms I spotted at Target: Holiday Mint M&Ms. 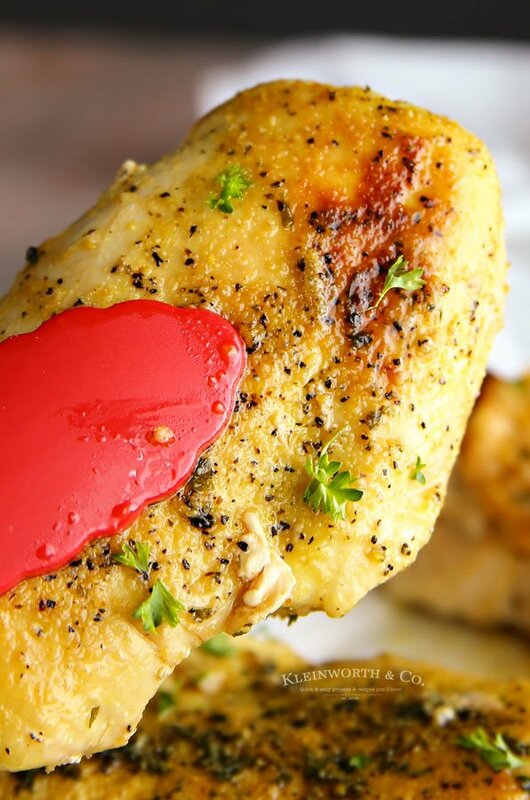 Yes – they are delicious!! 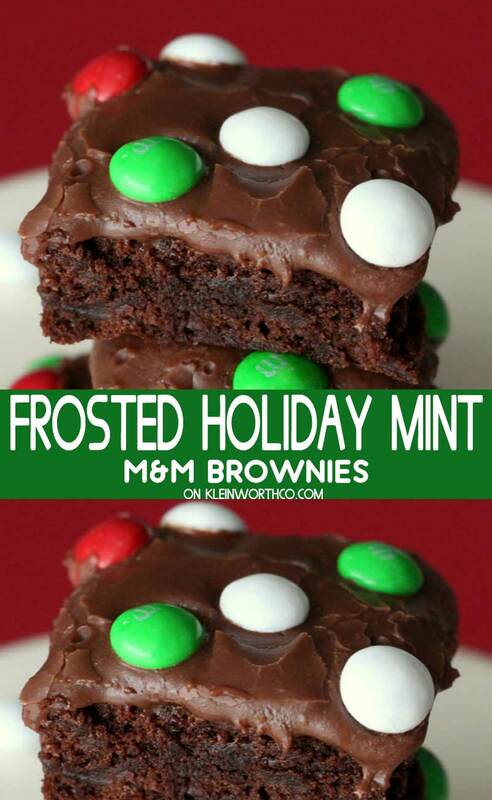 I knew I had to make something with them, so I decided to make some Frosted Holiday Mint M&M Brownies. It’s a bit of a mouthful, but I promise you’ll love how yummy and easy these sweet treats are to make! Seriously, these babies were delicious!! 1. 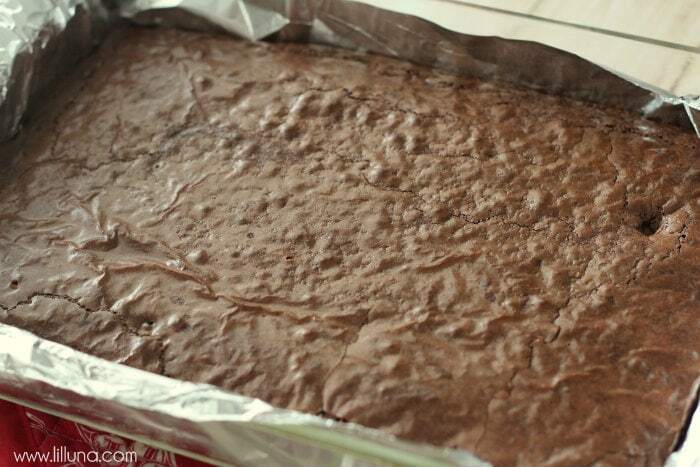 Make brownies as directed in box. Once done, take out and cool. 2. Make frosting by combining sweetened condensed milk and chocolate chips in a small pot. Cook on low heat, stirring constantly, until all melted. 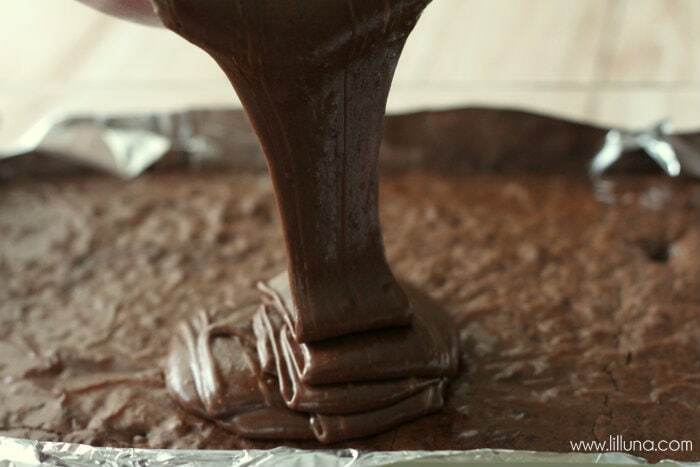 Pour over brownies. 3. Sprinkle M&Ms over the frosting. Let set up before cutting. And please come on over to Lil’ Luna to say hi! Thank you SO MUCH Kristyn for this recipe & your amazing friendship. 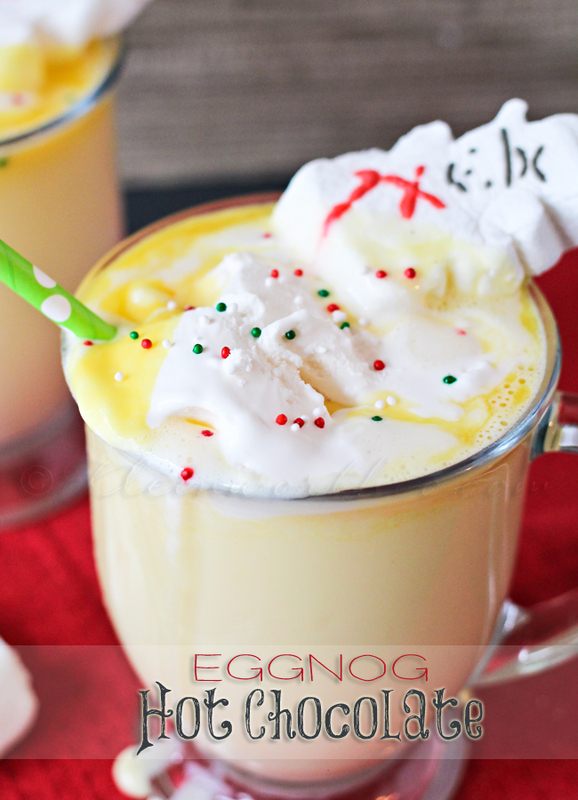 Looking for more holiday goodies? Make brownies as directed in box. 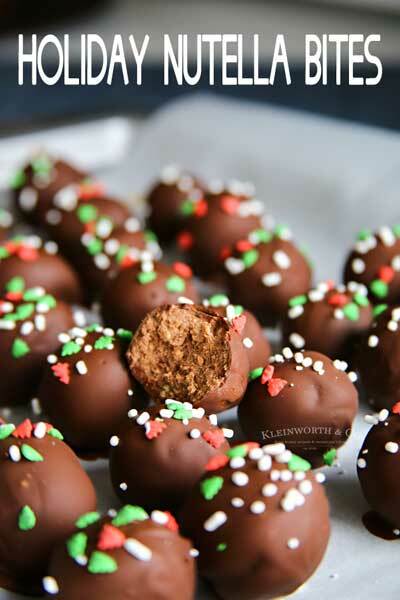 Make frosting by combining sweetened condensed milk and chocolate chips in a small pot. Cook on low heat, stirring constantly, until all melted. 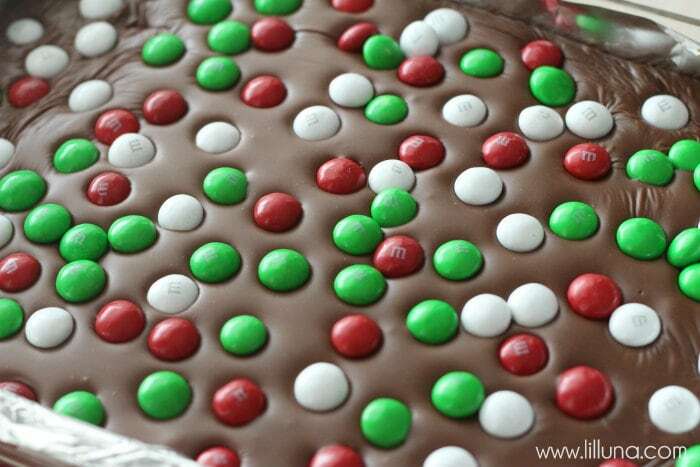 Sprinkle M&Ms over the frosting. Let set up before cutting. We have all those ingredients! Maybe Santa would like these. I’m not sure if Im happy or sad i’m Gluten Free!!! 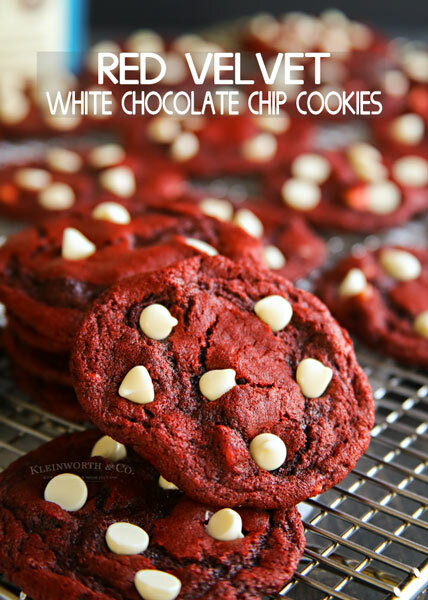 hmmmmm these look so delicious.